Piracy has long been a massive issue for San Diego Comic-Con, as fans not in attendance at the event are still obviously very eager to get a first glimpse of footage from the major studios’ upcoming releases. 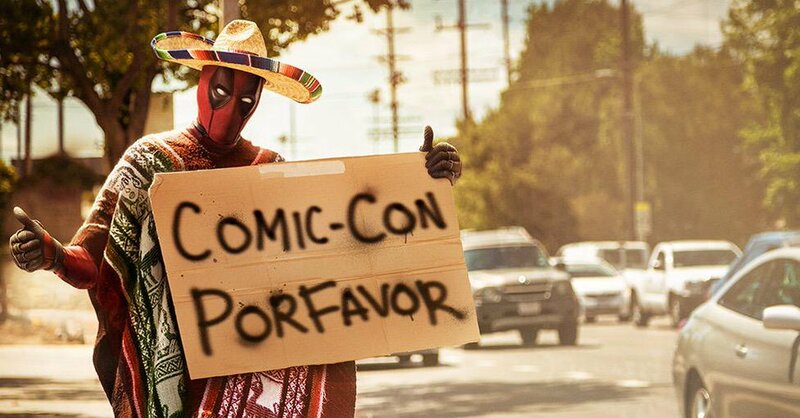 Now, it seems that 20th Century Fox have had enough, as according to The Wrap, they’ve decided not to showcase any of their highly anticipated movies in Hall H of San Diego Comic-Con this year. Apparently, the studio feels it can’t prevent the trailers from leaking and would be doing a disservice to those that pay to attend the Con with the intention of viewing footage that’s exclusive to the event. Fans were no doubt hoping for some first looks from the likes of The Wolverine 3, Assassin’s Creed and Maze Runner: The Death Cure, but it seems that they won’t be getting much in the way of new trailers anymore. Fox has declined to comment on this surprising move, but expect an official announcement of some kind to make its way online soon. Tell us, do you think pulling out of SDCC 2016 is the right move, or does this seem like a case of trying to cure the headache by cutting off the head? Drop us a comment below and let us know.